As 2011 comes to a close, I have been thinking about how incredible this year has been for Lovebird Style. We’ve learned so much and have come so far in such a short amount of time. We exceeded our goals for our first year in business and were blessed with truly amazing clients! I am personally so thankful for the brides who trusted me with the day they’ve been dreaming about and looking forward to their entire lives. In January of 2011, we teamed up with Souder Photography, now called Love Is A Big Deal, for a wintery white inspirational shoot that was published on Ruffled. Then in February, I turned 31 and remember feeling like there’s a new set of rules… rules that I set, for myself. And thus I started to dive into the “work” I felt so passionate about and compelled to do. After seeing my work on Ruffled, Holly of Magnolia Pair, and I met over coffee and brainstormed ways to work together. So in March, we teamed up with the other girls of Lace * Paper * Flowers to work on a project that was featured on Forget Me Knot Weddings. In April, the Lace * Paper * Flowers team did a fun shoot with Ulmer Studios that was also featured on Ruffled. True to form, April showers do bring May flowers! I quit my current job, so I could work on Lovebird Style full-time. We started gearing up for our very first wedding and another styled photo shoot that was also published on Style Me Pretty. 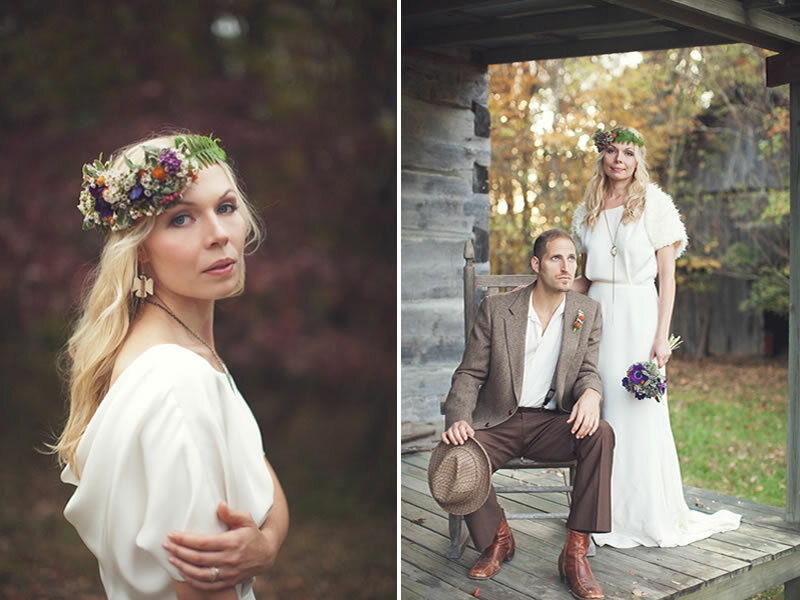 In June, Allison and Stu’s lakehouse wedding was Lovebird Style’s first wedding! It was very exciting (and a little nerve racking), but we learned so much! It went off without a hitch and we’re thrilled to have had it featured on Wedding Chicks. In July, our second wedding, was just as special. Chelsee and Josh have been an incredible blessing to me. Meeting Chelsee was like meeting an old friend for the first time. It was amazing how well we worked together. I’ll never forget her face when she saw her wedding set-up. I was deeply moved by how gracious and thankful she was for all our hard work. And we were all so excited to have it featured on Style Me Pretty. Chelsee and Josh welcomed their little boy, Charlie, into the world in November and it’s been a joy for me to still be a part of their lives. 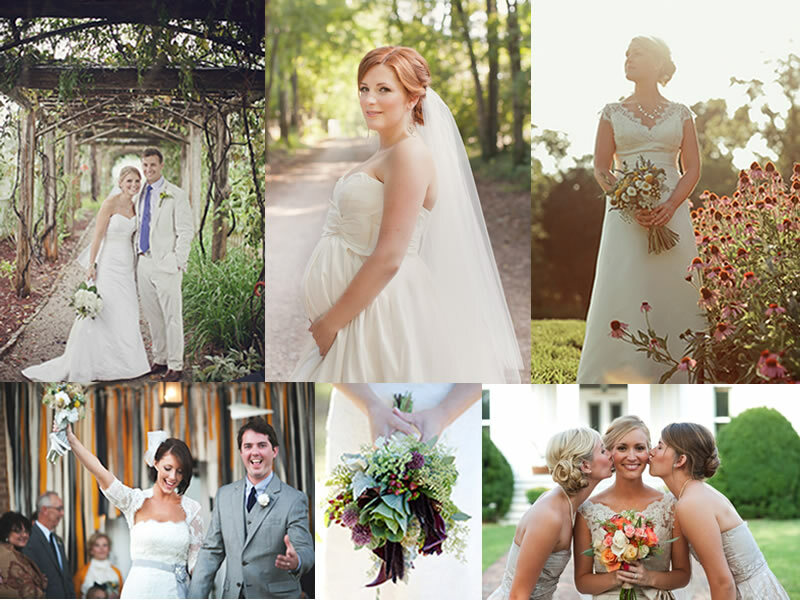 In August, we had another beautiful wedding that was French Provincial influenced. My husband and I also had our first year anniversary and took a trip to Austin, Texas to celebrate. In September, we were quite busy with two weddings and our first shoot that wasn’t wedding related, for a major recording artist, with our sweet friend Jessica Lorren Photography. And October was by far our busiest month, with five weddings, our first print publication, and another styled photo shoot! In the beginning of the month, I had the great honor of working with my childhood best friend on her wedding in North Carolina. 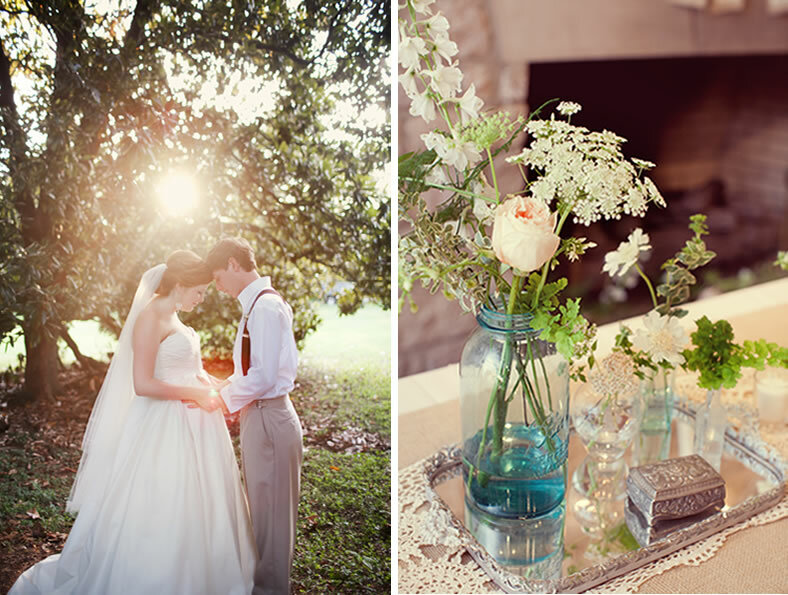 Denise and Wes’ mountaintop wedding was truly breath-taking. We had another beautiful wedding at Front Porch Farms and our first wedding in Memphis, which we’ll be posting about later. 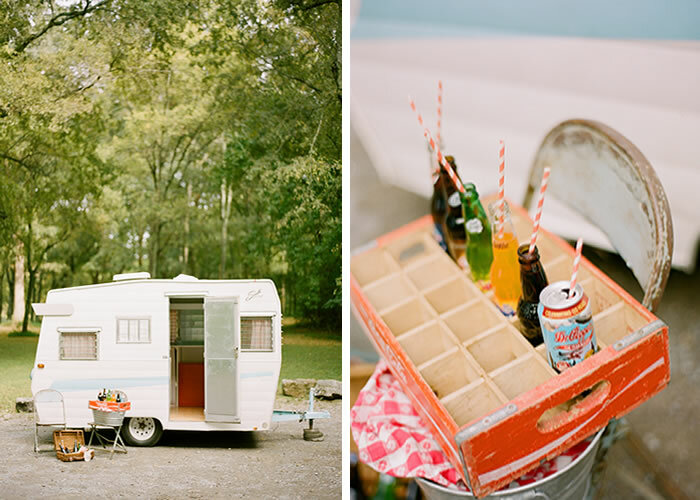 We consulted on the design for this fun DIY Kentucky Shaker Wedding that was featured on Wedding Chicks. We also did our first collaboration with Cedarwood. We ended the month strong, with a styled photo shoot, a project that I had been dreaming up for months. I’m really proud of how it turned out and that it was featured on one of my favorite wedding blogs, Green Wedding Shoes. In November, we did another photo shoot for this recording artist. I also had the opportunity to do a personal photo session with Jessica Lorren Photography, which I absolutely adore. And then we ended the month with a college friend’s wedding, our last wedding of the year! December has been full of planning for next year and boy, do we have some fun things in store for 2012! For starters, I’ll be studying under my industry hero, the amazingly talented Joy Thigpen at her first ever workshop in February. I will have another opportunity to spend time with her in May and I couldn’t be more ecstatic! We have some really cool styled shoots planned for the beginning of the year. And we’re so fortunate to already have some crazy-awesome brides booked! So, we’ve decided to add some lovely assistants to the Lovebird Style team. I will be introducing them to you soon! Oh, and we got walki-talkies for Christmas… they’ll be a nice addition to our toolbox and I’m sure will come in handy. I’m incredibly humbled and thankful for the many wonderful people I’ve met and the new friends I’ve made along the way. I cannot express how good it feels to be doing something you love! So without further ado… thank you to all of our clients, friends, family and fellow vendors who have helped us get to where we are today. I am so grateful for all your support! And here’s to an even more fabulous 2012… Happy New Year! congrats on a wonderful year Jess! I'm so very proud of the lovely work that you do. You can tell that the love you have for your work shines through in everything you create. Keep on moving girl! Be blessed. We are so proud of you Jessica! Amazing year for sure! thank you so much, guys! ryan, i look forward to working with you in 2012!